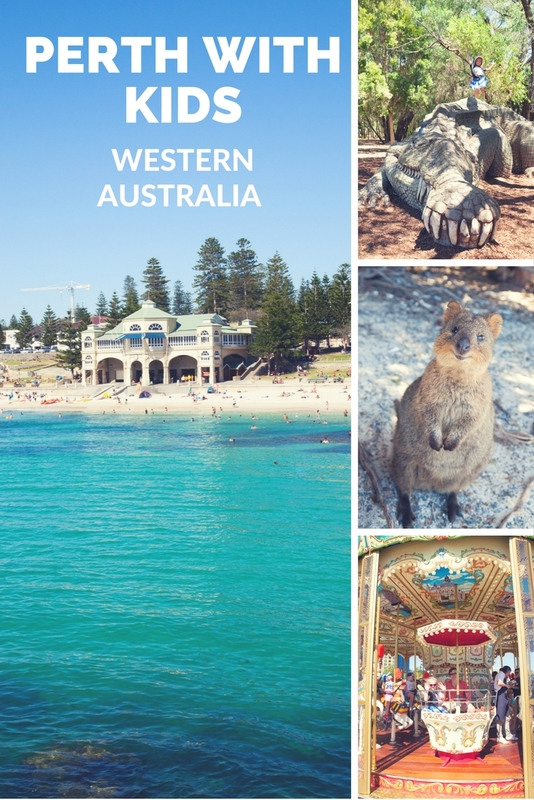 Perth, capital of Western Australia, is a laid back city with lots for the whole family to enjoy. 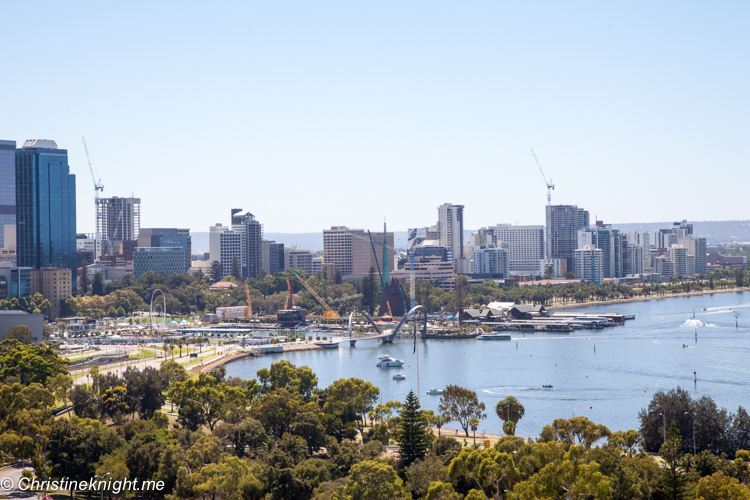 From the gorgeous weather to the stunning beaches, natural beauty and cosmopolitan city centre, there are plenty of things to do in Perth with kids. 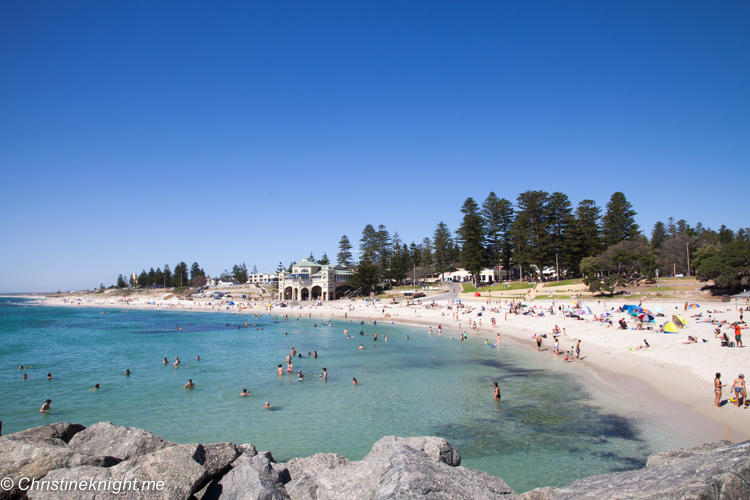 The most iconic of Perth’s city beaches, Cottesloe is also one of it’s most popular. Located midway between the Perth central business district and the port of Fremantle in Perth’s western suburbs, it’s only a 15 minute drive from the city centre. 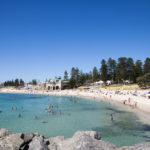 Located directly on a train line and equipped with bathrooms, cafes and plenty of shady trees, Cottesloe is the perfect beach to while away the day, and is a top pick for things to do in Perth with kids. 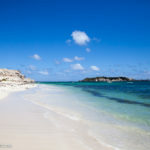 We loved the beach’s clean white sand and beautiful clear turquoise water, and particularly the grassed areas behind the beach with plenty of tall pine trees for shade. A short walk around the rock line gives a fantastic view of the striking art-deco Indiana Teahouse building that is a Cottesloe land mark featured on many post cards and tourist brochures. An absolute must when visiting Perth, Rottnest is an island off the coast of Western Australia, located 18 kilometres west of Fremantle. 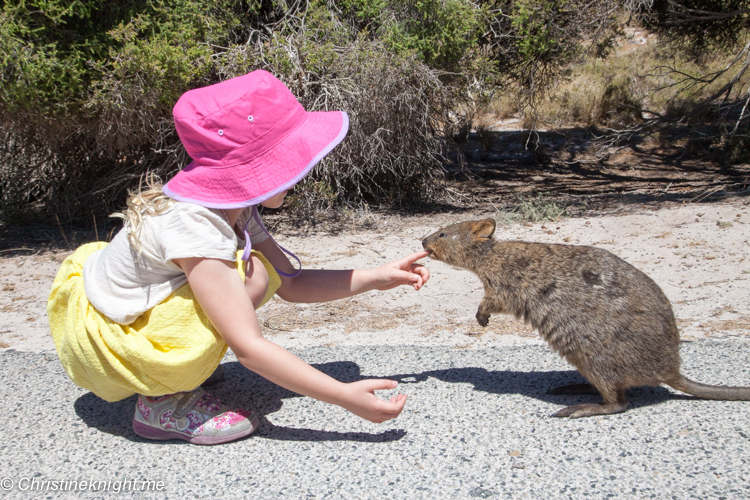 Take a day trip to “Rotto”, where you’ll come face-to-face with the world’s happiest animal, the quokka, swim on some of the world’s most gorgeous beaches and even spot a New Zealand fur seal or two. 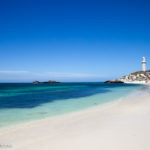 One day at Rottnest is never enough! 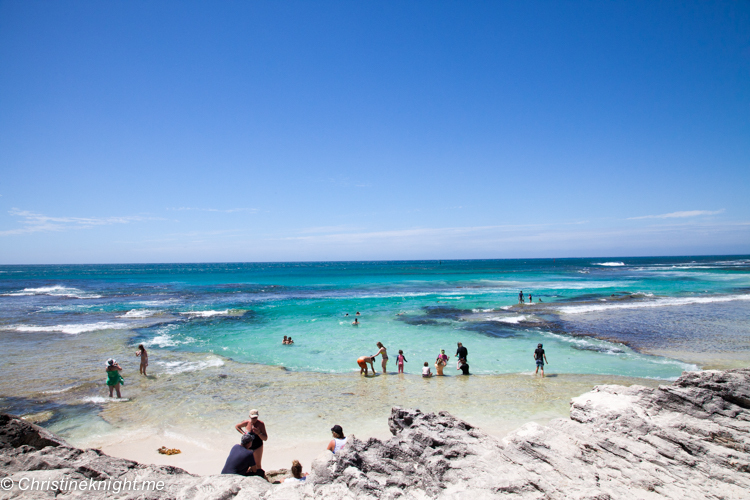 Rottnest Island is a bucket list type of destination, so absolutely must be on the list of things to do in Perth with kids. 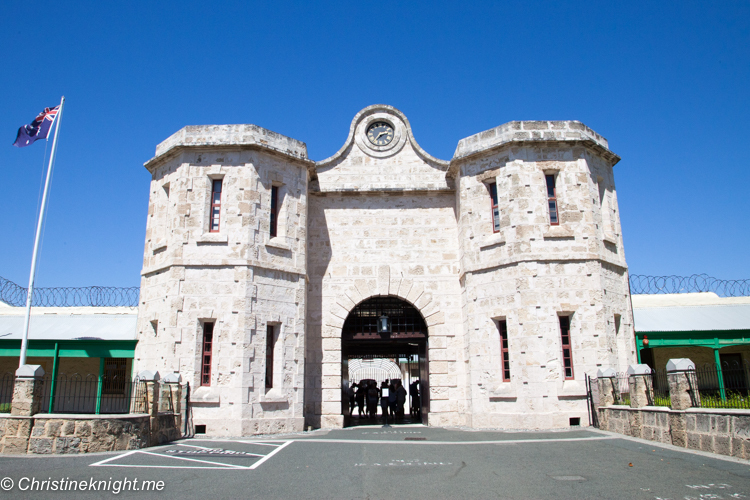 More info on the perfect day at Rottnest Island. 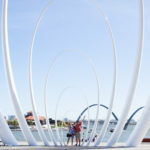 Brand new area on Perth’s waterfront, Elizabeth Quay is in the process of becoming a vibrant destination for tourists with activities for people of all ages. 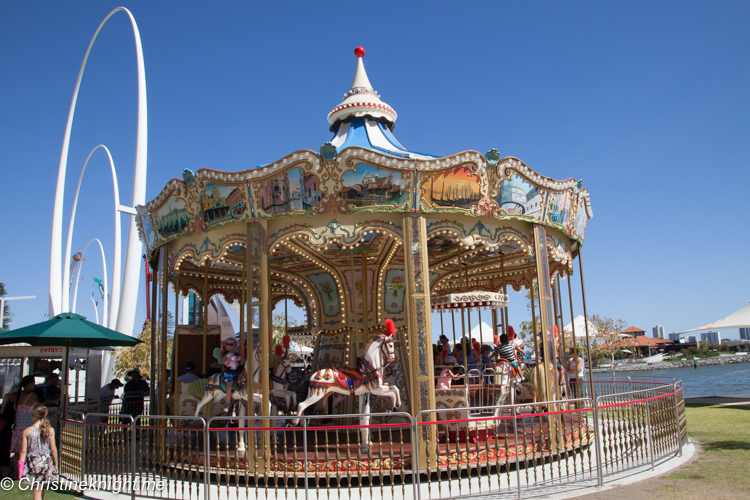 Take a ride on the gorgeous traditional, handcrafted Venetian carousel, walk across the Elizabeth Quay bridge to the new maritime inspired playground Island Playground, or cool down with a run through the BHP Billiton Water Park. 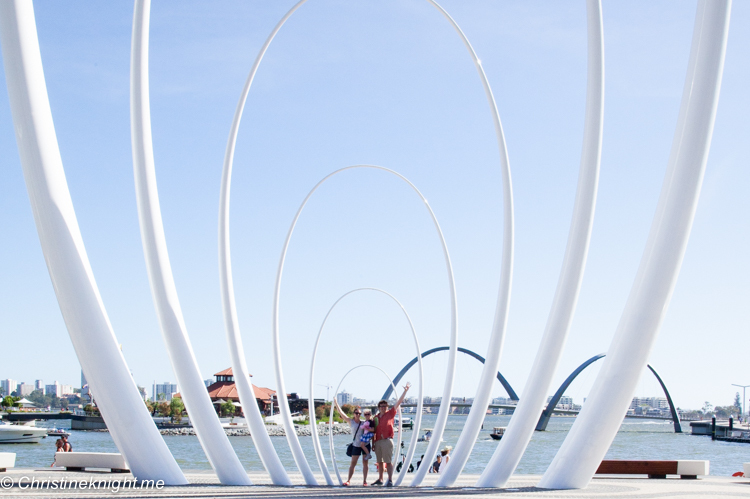 The whole Elizabeth Quay area is a particularly great place in Perth for kids. Before heading home, try a delicious scoop of Gusto Gelato and pose beneath the 8-story-high “Spanda” sculpture. More info on Elizabeth Quay. 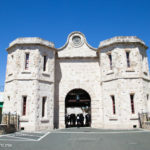 Visit Fremantle Prison, WA’s only UNESCO world heritage-listed building, grab a coffee from one of the many cafes on the Cappuccino strip or take a stroll through Fremantle Markets for fresh produce, food to go and baked goods, local arts and crafts and live music. 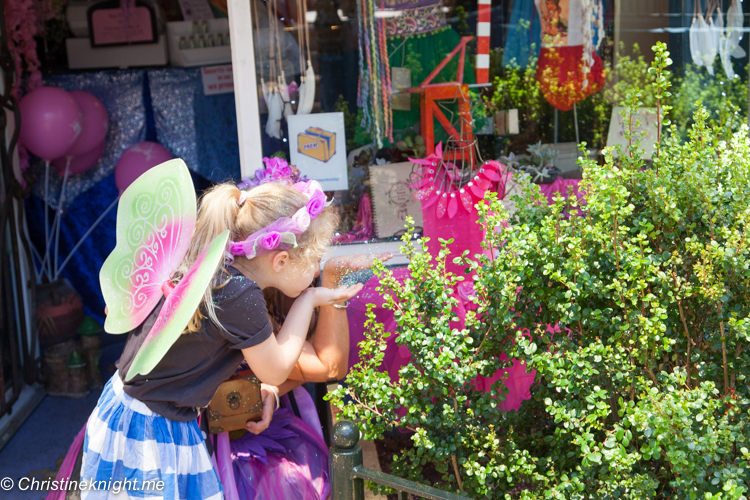 If you have a little one who believes in magic, be sure to visit The Pickled Fairy shop. Let your wild thing roam free at Kings Park, a 4.06-square-kilometre park on the western edge of Perth’s CBD. If you’re driving through the park, pull over at the car park near the entrance to enjoy stunning views of the Swan and Canning Rivers, the city skyline and the Darling Ranges. It’s easy to spend a full day in Kings Park enjoying bush walking, the Botanic Gardens and the many children’s discovery play areas. 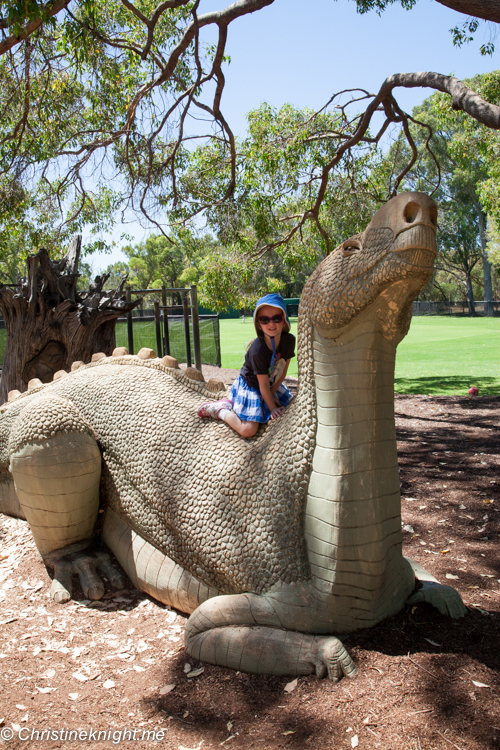 The highlight of Kings Park for us was Synergy Parkland, a recreation area featuring dinosaur-era themed play equipment, water play, and multiple climbing structures. There is a cafe and bathroom facilities in the park plus plenty of shade. 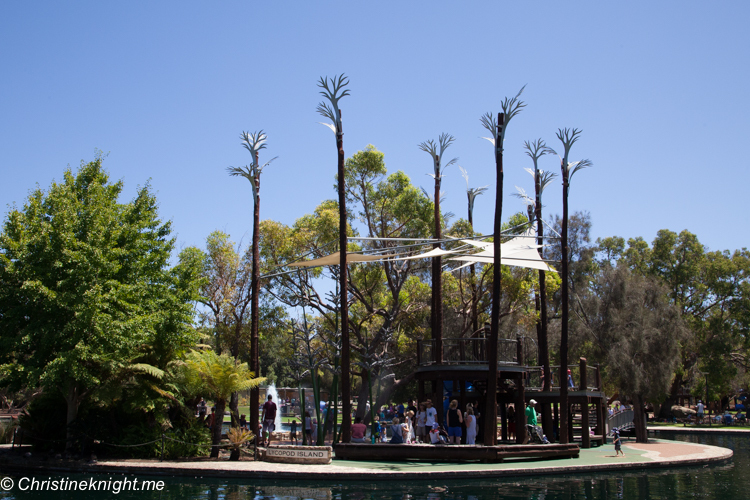 Synergy Playground is one of the best playgrounds we have encountered, and, as a result, it absolutely should be on your list of things to do in Perth with kids. Part of the Perth Cultural Centre, the Art Gallery of Western Australia has been educating and engaging the public since opening in 1895. 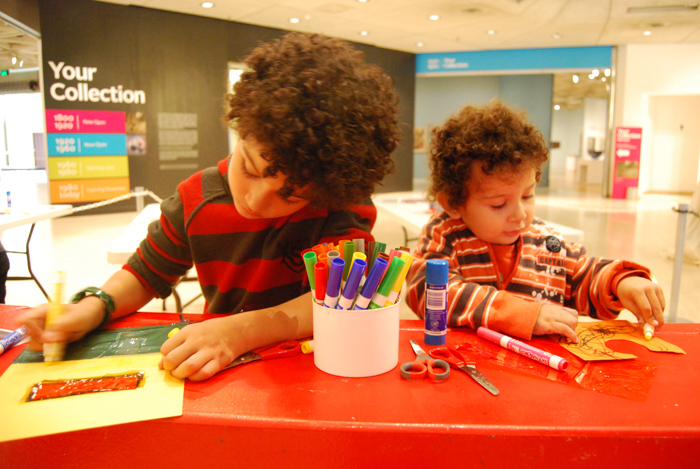 The gallery runs monthly kids programming as well as school holiday activities and has a permanent interactive drawing space for families. We hired a car because Perth is quite spread out. You can catch the train to get around (more info here) and in Fremantle use the free CAT bus. There are numerous options for accommodation in and around Perth. 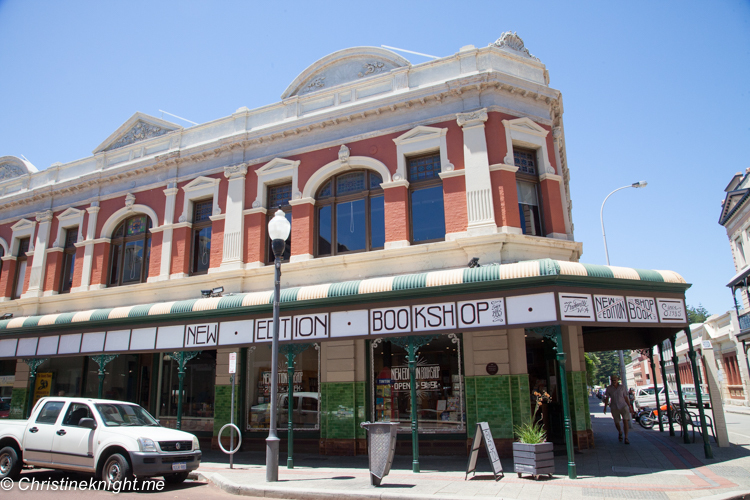 I would recommend staying in Fremantle as there is plenty to do and it’s very kid-friendly, but Perth CBD is also very central. Click here for hotel prices and availability. Heading out after dark? We are early birds but if you’re after some night life, check out these tips. 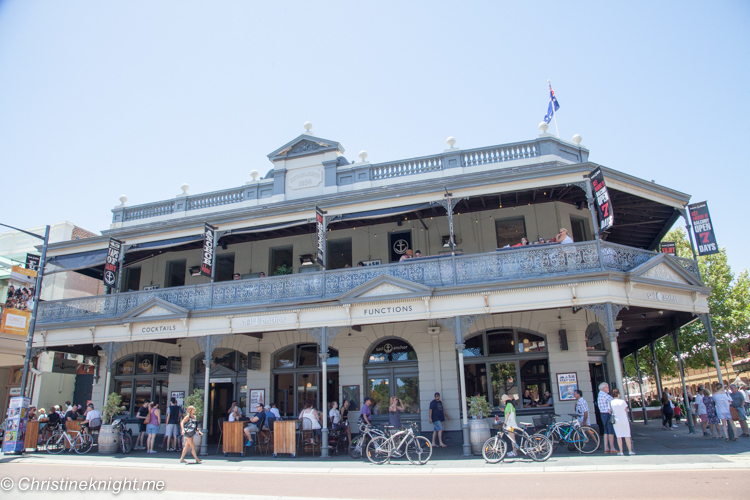 Looking for more things to do in Perth? How about checking out the great street art scene? 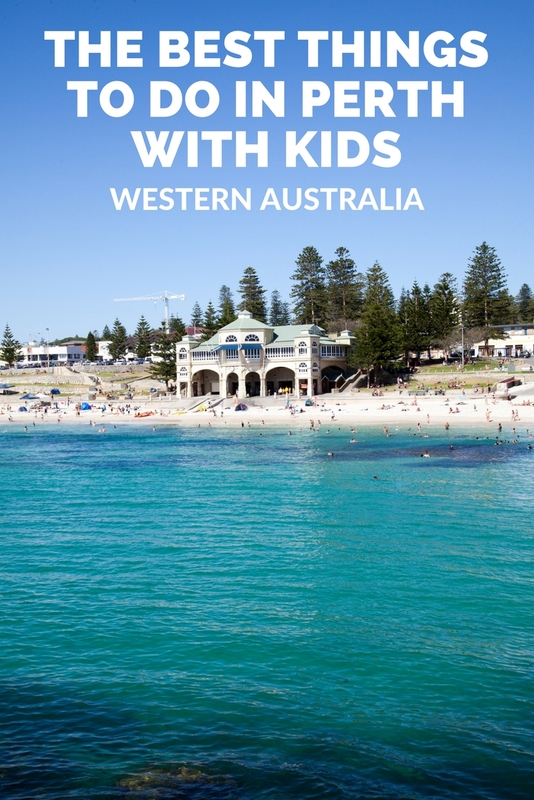 Get tips on kids activities Perth here. 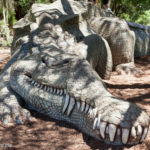 Find more things for kids to do in Perth. 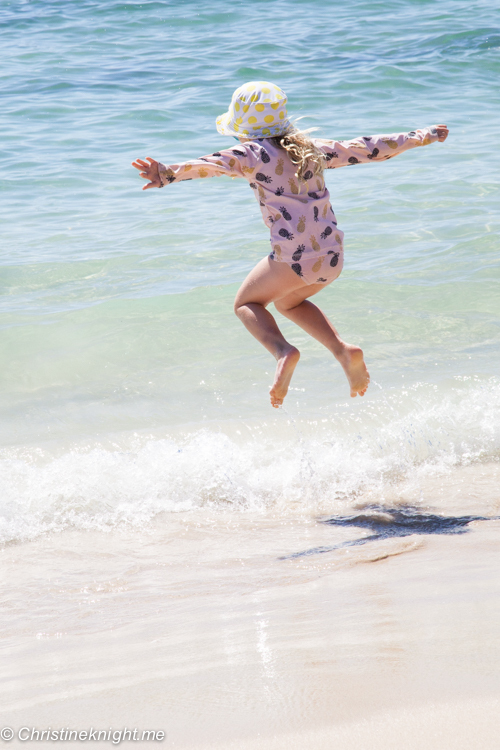 Plenty of ideas for children’s activities Perth in summer here.